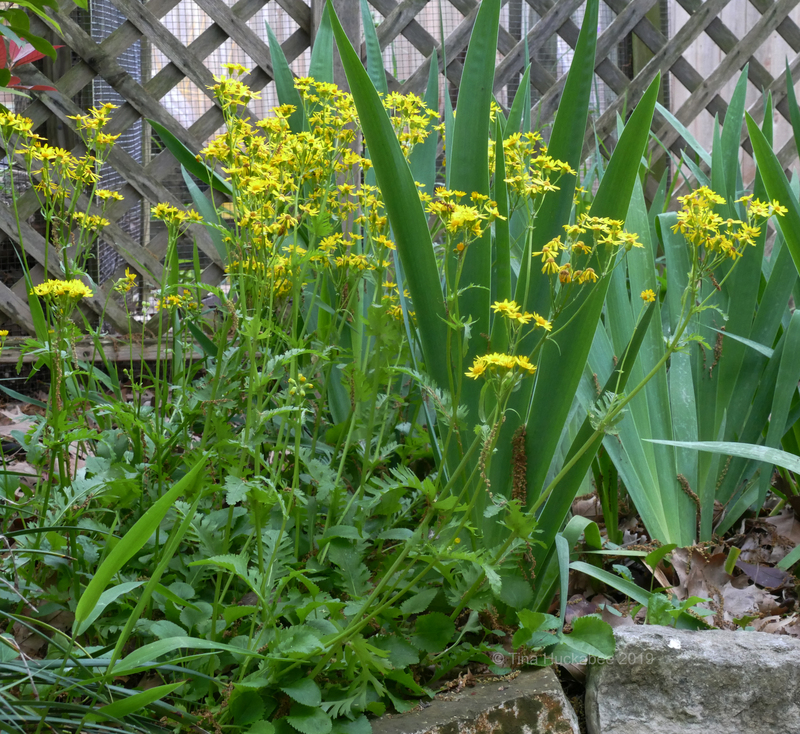 This entry was posted in Golden Groundsel, Packera obovata, Uncategorized and tagged Native plants, Pollinator Plants, Texas Spring perennials by Tina. Bookmark the permalink. Thanks! 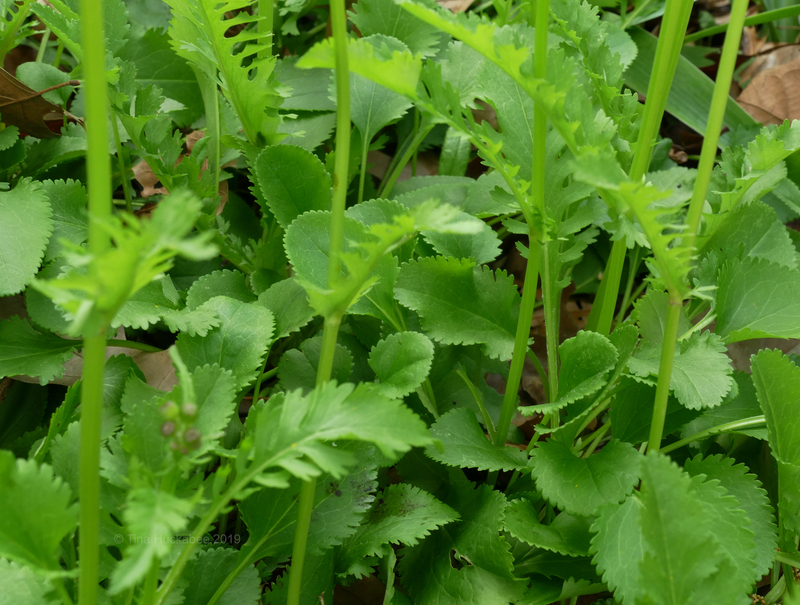 Haha–groundsel is a great word, I agree! 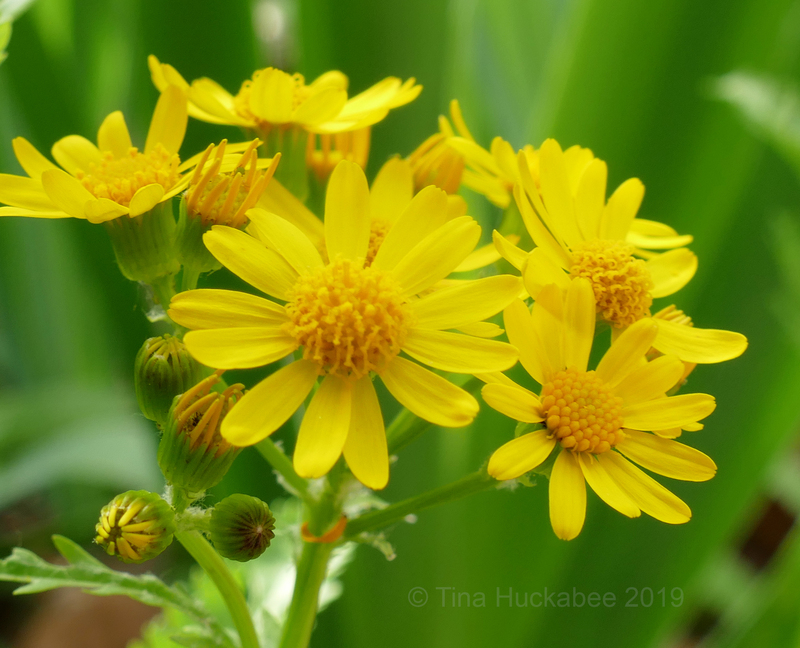 I thought I was seeing golden groundsel south of Seguin and around Gonzales, but I think I ran into Texas ragwort (Senecio ampullaceus) instead. I noticed in Michael Eason’s new book that Packera obovata is given the common name roundleaf ragwort rather than groundsel. 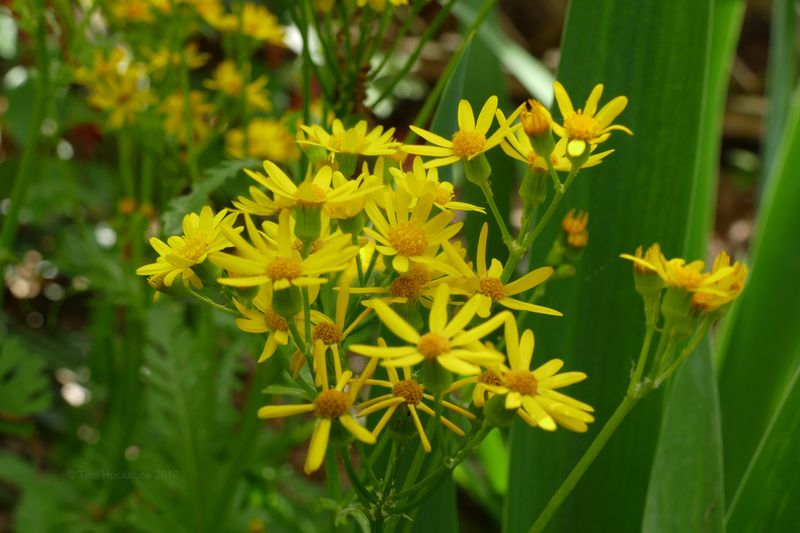 I have no idea why, but it does reflect its similarity in appearance to Texas ragwort. 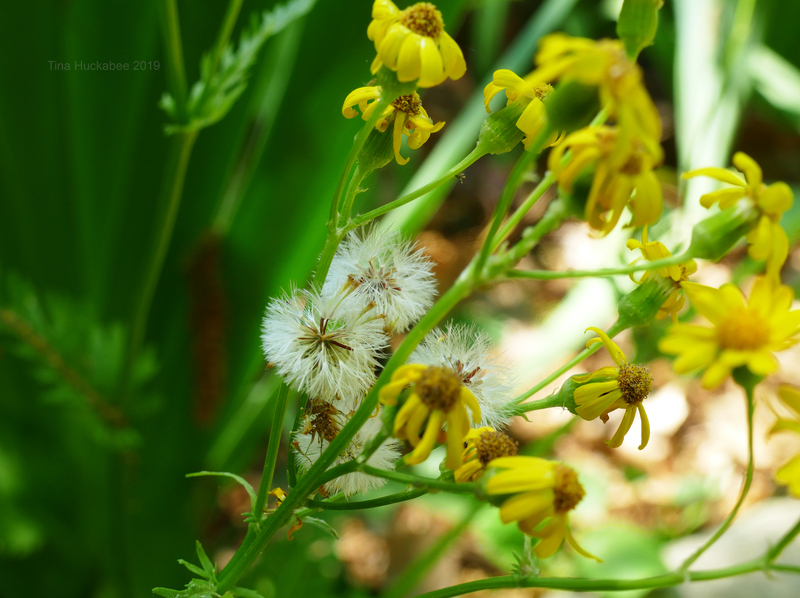 Now, if I just can figure out how to identify both — and butterweed! — all will be well. 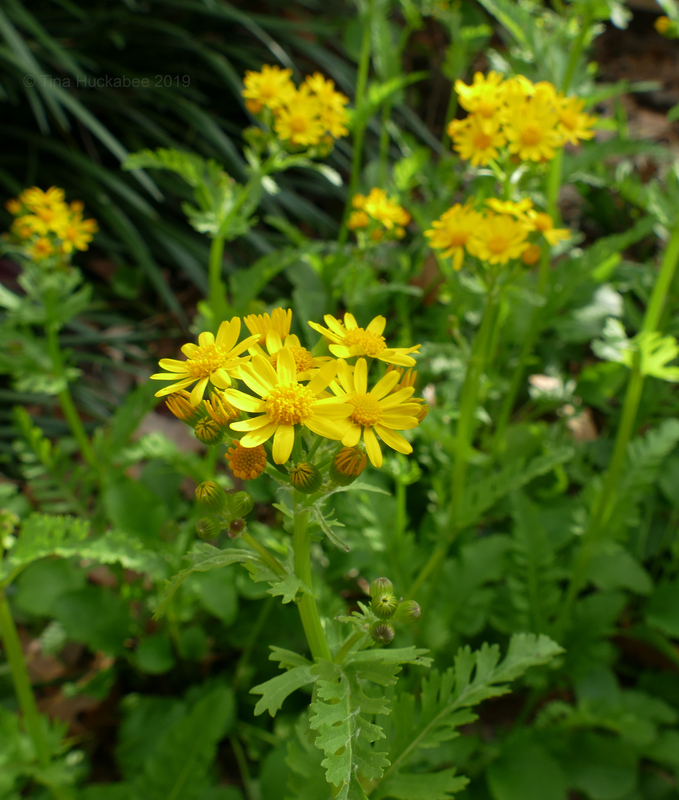 I do I found golden groundsel in Palacios yesterday, but I need to settle down with my book, my dictionary of plant terms, and the plants, and spend a little more time than a quick glance. 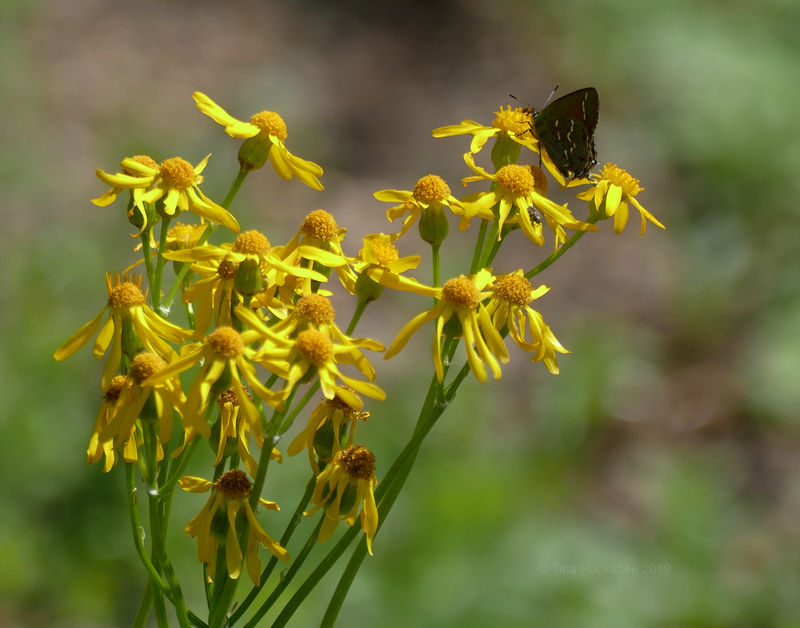 When I was up in the hill country I did find prairie groundsel (P. plattensis) and there’s no mistaking that one. I’ve got a couple of photos I’ll be putting up. The buds are really something. 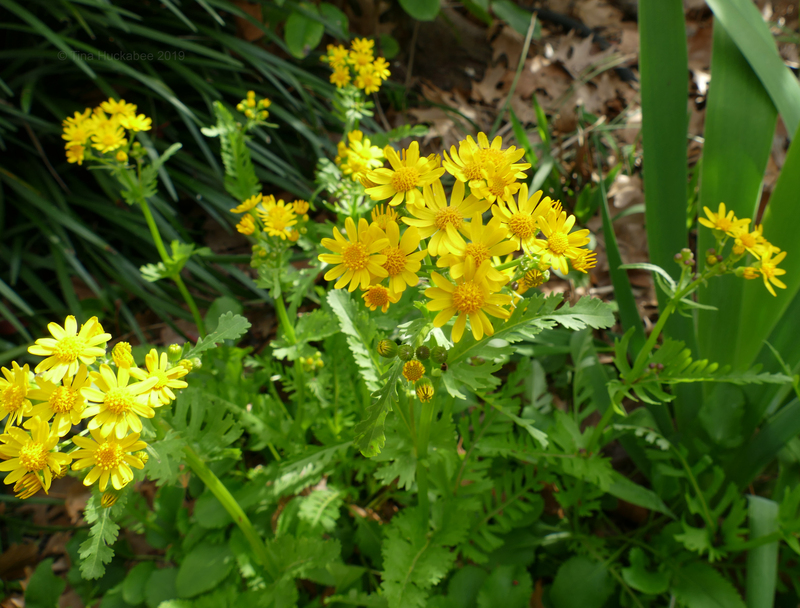 The LBCWC also uses Roundleaf ragwort as a common name–one of several. Flowers are like that, lots of names, lots of descriptions! 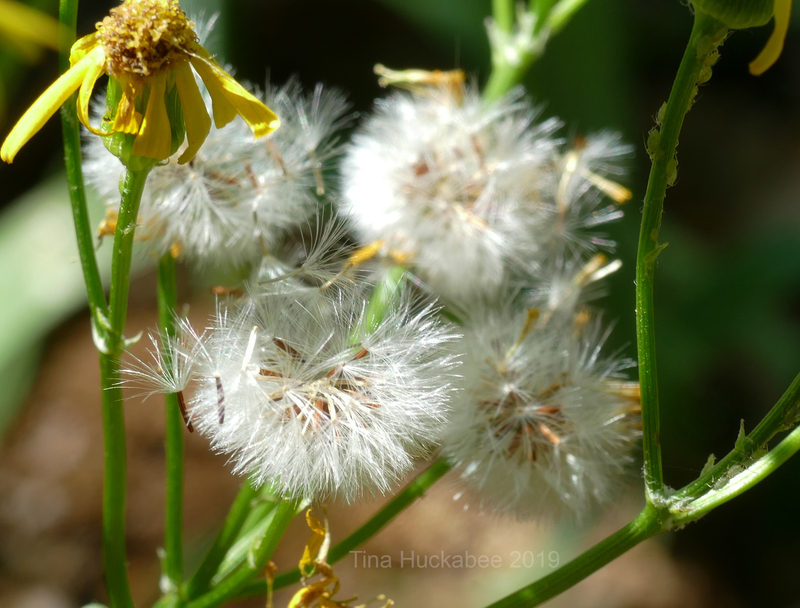 The prairie groundsel always seems more sunflower-y to me! 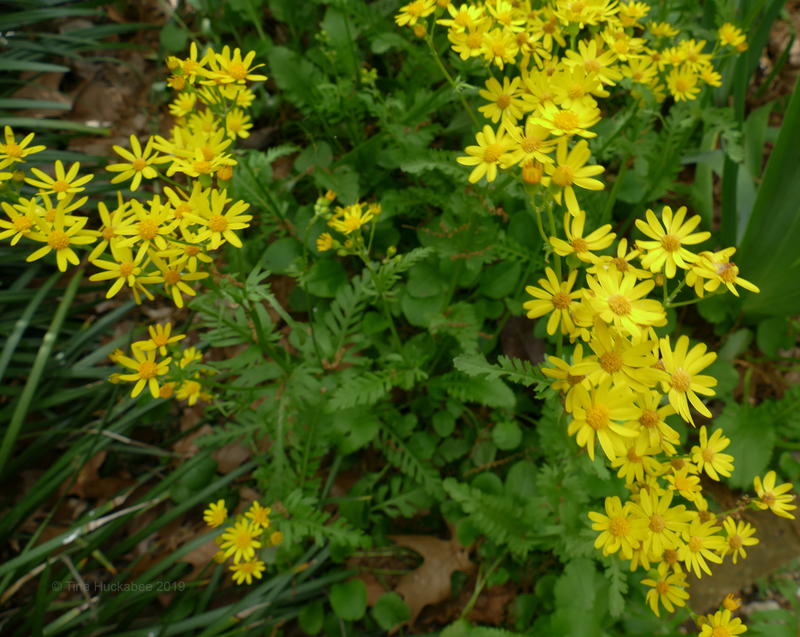 I found photos of the golden grounsel and Texas ragwort in my new photos this afternoon. It is possible to tell those blooms apart! Here’s a silly question: what’s the LBCWC? While growing hundreds of cultivars of rhododendrons, we could not keep track of all the colors. Girls are better at that sort of thing of course. (Although they could just make up names for colors at they go, just to keep us wondering and believing that they are somehow perceptually superior.) Yet, with all of our cultivars, only a few were in the yellow range, and even fewer were good clear yellow. None were completely yellow. White, which is my favorite color, happens to be rare too. Although there are a few white rhododendrons. only TWO are pure white, without blotches, spots, stripes, blush or whatever keeps them from being pure white; and neither of the pure whites are something I would want in my own garden. One blooms with spherical trusses that look like tennis balls on sparsely foliated sticks. The other has very impressive trusses, but one seemingly liquid stems that must be staked. Well, don’t get me started on blue. Cultivars have their place, and I certainly grow plenty, but natives are just the best when it comes to color. Haha–know what you mean about blues. Agapanthus is great for blue, but is (to some) too boring. Any native a cheery as this has a special place in my garden. 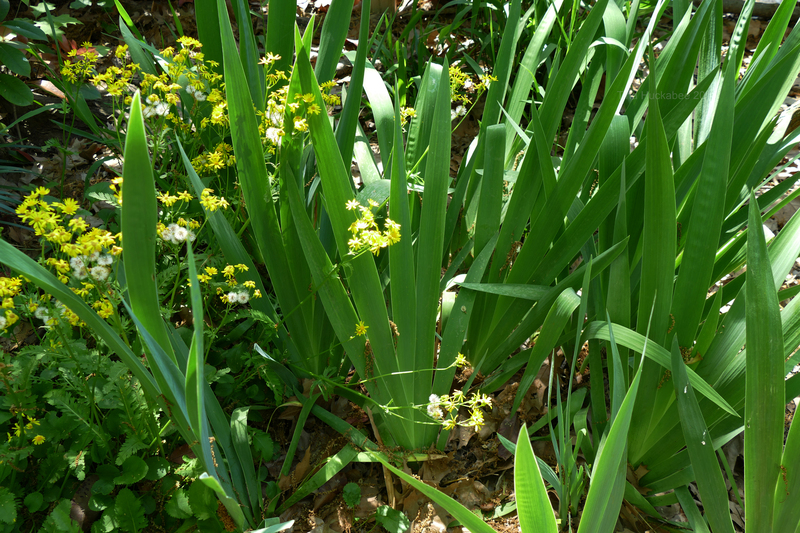 It’s an easy one to grow, though in my garden, it hasn’t spread as readily as the literature suggests it does. I seem to find the literature to be often opposite in my garden. The elderberry wss supposed to rot and die in the site I picked (I read after I’d planted it.) It’s more than tripled in size. The blackberries were supposed to thrive where I’d put them ( I’d read up in advance.) Two of the three died. Perhaps these books are more often than not written in surprise riddles that the plants find funny. Haha- I think you’re onto something. Very cheerful blooms for spring! I am trying to establish another species of the same genus, P. aurea.